About - International Counseling & Consulting, Inc.
As a professional counselor, Dr. Paetzhold is nationally certified (NBCC License Number: 24031) and licensed in the State of Georgia (LPC License Number: 2488). He is also a Certified Professional Counselors Supervisor in Georgia (CPCS License Number: 343). 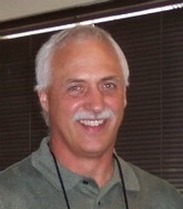 He is an active member of the American Counseling Association and the Georgia LPC Association. He has maintained a private practice in Atlanta since 1991. Dr. Paetzhold has been married to his wife Candy since 1977. They have five adult children, one son-in-law, and two granddaughters. He still plays baseball and is a lifelong St. Louis Cardinals fan. International Counseling & Consulting, Inc. (ICC, Inc.) has been a non-profit, 501(c)(3) corporation since November, 2002. Donations sent directly to ICC, Inc. are tax-deductible and will be receipted.